My little guy LOVES singing the Happy Birthday song (to himself- lol). We received a box of books from one the moms in our playgroup and this was one of the books in it. I took a picture of the inside also since the cover is pretty beat up. 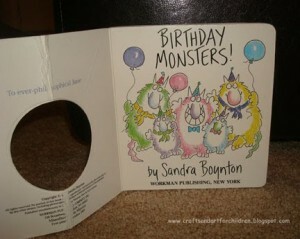 The book is called Birthday Monsters and it’s by Sandra Boynton. It is ADORABLE! The birthday monsters come and crash the birthday boy’s big day but in a super cute, funny way (and all while rhyming). It’s sure to bring a smile! I like it because it has a lot of words that my son likes a lot…. especially the blowing out the candles part! Don’t forget to stop by Three A’s and a C to see more Book Fan Friday posts or to link up your own. Want to see more great Birthday Book finds? 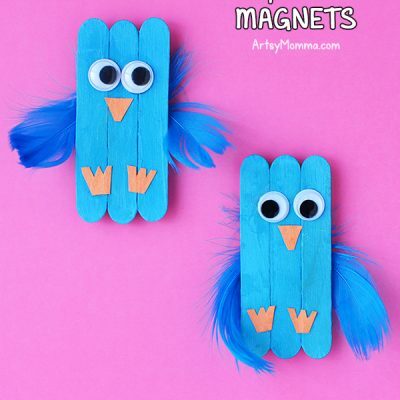 Silly Eagle Books has a HUGE list of them suggested by readers of her blog and her own list of 10 . Awesome! I am going to link to this post in that birthday post list. 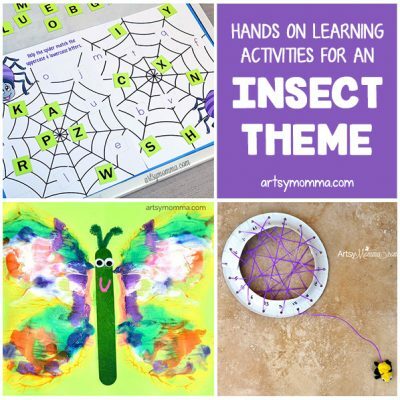 Thanks for linking to me! 🙂 <br /><br />This book looks really cute, by the way. I am going to look for it. We are BIG fans of Sandra Boyton books but I have never heard of this one. Lots of them are available in Spanish! 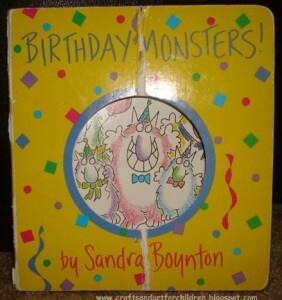 I&#39;ve seen a few Sandra Boynton books but I haven&#39;t picked up any. I might just have to next time I see some!